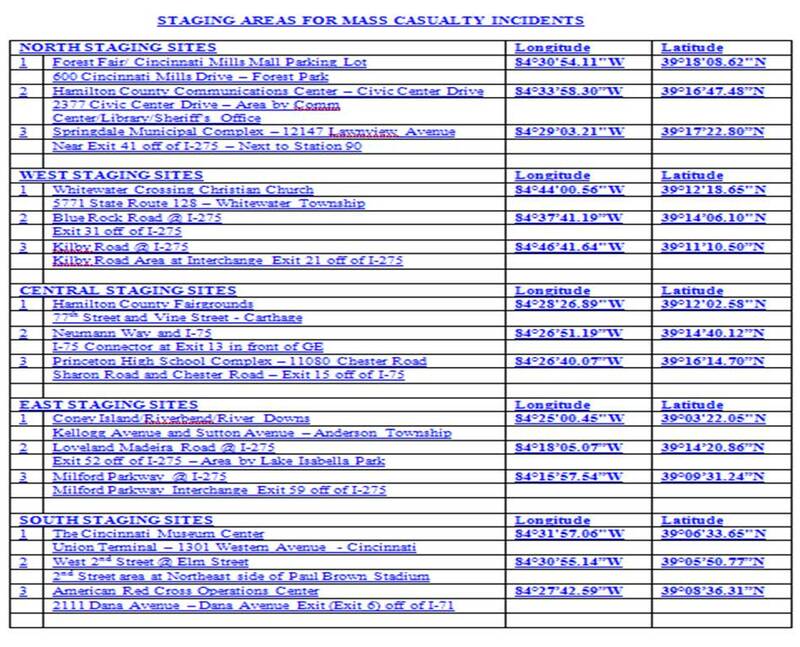 There is no department in the region that is not at risk to have a Mass Casualty Incident (MCI) at some time. With the interstates, aircraft flight patterns, schools, malls or any place a crowd can be assembled for any reason nobody is excluded from the risk. 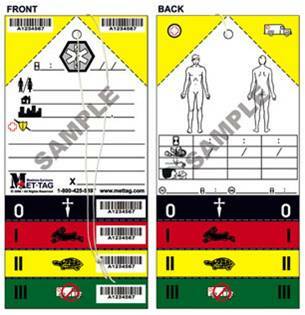 This MCI plan was designed for Incident Commanders. It makes for a logical and progressive response to a large scale incident. The plan is another example of how fire agencies share their services to manage an incident of this type. At that point the hospital network is activated which will report all available beds with all hospitals notified. Hospitals will report information to the University Air Care/ Mobile Care Dispatch who will direct squads on the scene to the most appropriate hospital. 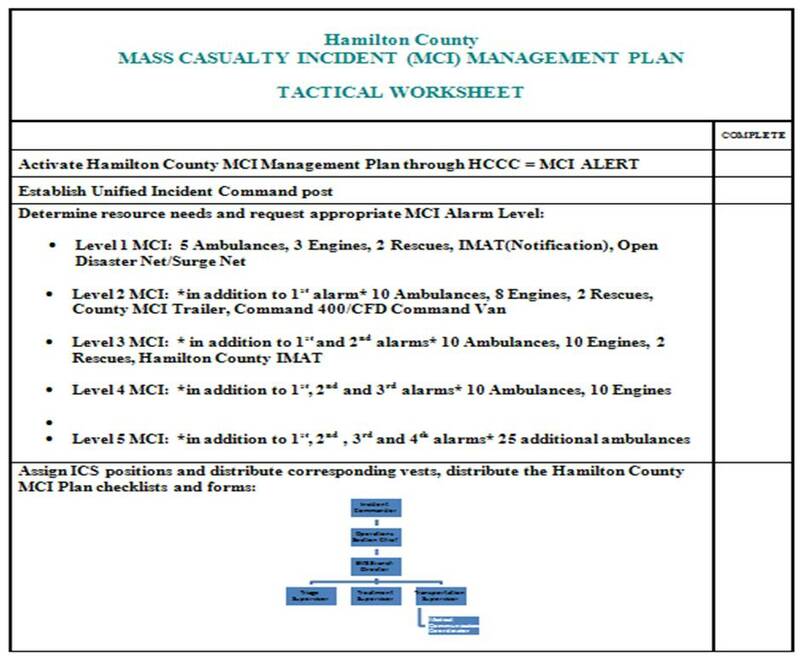 Command positions for any MCI Plan are detailed in the plan and tactical check sheets are included. Units are included from Hamilton, Butler, Clermont, Warren, Dearborn, Boone, Kenton and Campbell counties which make up a regional response. The plan also includes notifications to law enforcement, Red Cross, Salvation Army, Greater Cincinnati Health Council, Coroner’s office, all area Hospitals and any other associated agencies. Hamilton County Fire Chiefs will be practicing this plan every 3 years with a full scale drill. The first drill occurred in May, 2013 and the next will happen in 2016 and every third year thereafter. 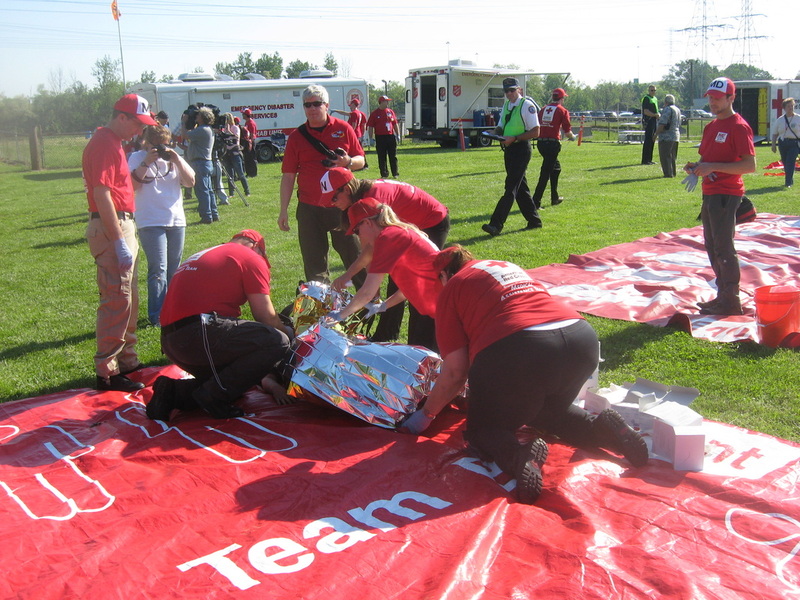 The Cincinnati/ Northern Kentucky International Airport will also conduct full scale drills tri-annually on the off years (2011, 2014, 2017 …). This gives all area departments the opportunity to practice the plan on a regular basis. Hamilton County Fire Chiefs MCI Committee based this plan from the Greater Cincinnati International Airport that was developed over many years as required by the FAA. The airport has been directed to have full scale drills on a tri-annual basis. Through their trainings they have been able to perfect their plan and share it with other jurisdictions around the country. This plan is an example of how many different agencies can come together to build a plan that all parties can be involved to work towards the goal of providing the best care possible to anyone in the county including the 8 county region. The MCI plan will continually be monitored and tested regularly so any updates can be addressed. Hamilton County Fire Departments educate their personnel on the MCI plan so they are familiar with it and place it into effect. The more it is practiced the better the outcome when it is truly needed. 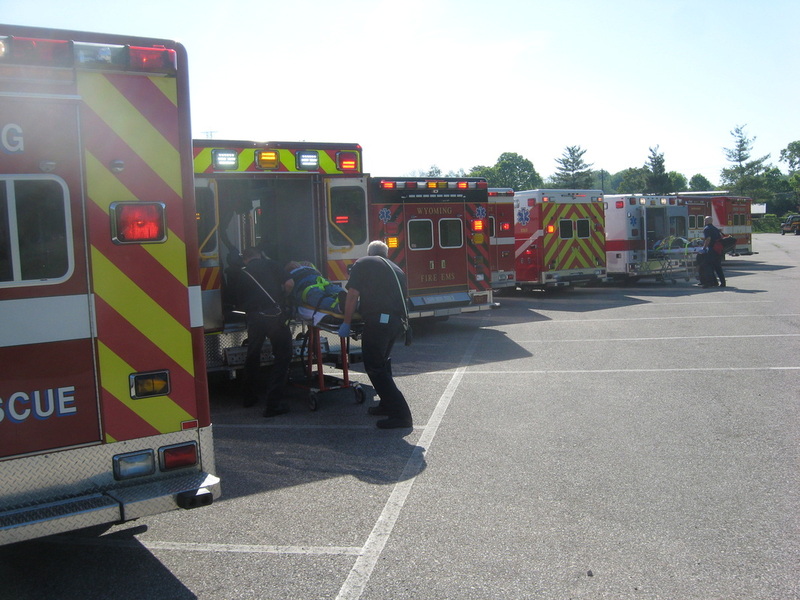 The Hospital Network is there to use on any MCI Incident. 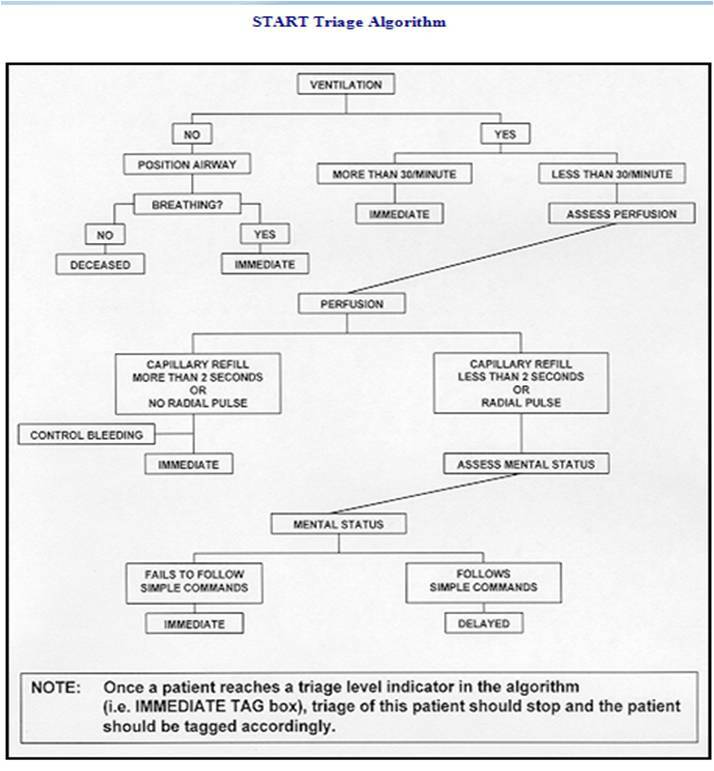 This opens the communications with all hospitals so Incident Command can relay patient information fast and effectively. 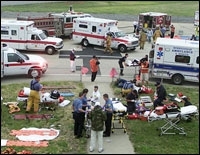 There have been many hours dedicated to building the MCI Plan so that departments can work through a Mass Casualty Incident with the greatest amount of success as possible. This shows that all fire departments can come together with a common goal of providing the region the best of every department when the situation requires it.